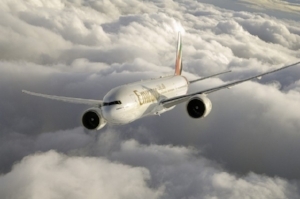 WASHINGTON, DC —The American Hellenic Institute (AHI) welcomes Emirates Airline’s announcement that marked the one-year anniversary of its Newark service via Athens, Greece, calling the first year a success. According to Emirates, the airline reported “healthy demand” from Greek American communities and leisure travelers with over 160,000 passengers carried on the only year-round service between New York and Athens. In addition, Emirates noted the service helped increase the number of passengers on the route by 50% during the summer months between April and August 2017, a statistic reported by the U.S. Department of Transportation.